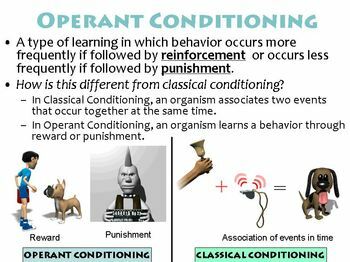 Contains a PowerPoint presentation covering the basics of operant conditioning. This would best be used in the Learning unit of a Psychology or AP Psychology course. The PowerPoint is HIGHLY animated and is designed to capture student attention. Each slide has transitions along with rich, moving media. 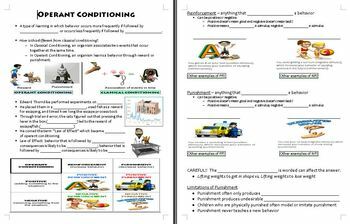 Additionally, a guided note sheet is included in the zip file to help students follow along with the presentation. 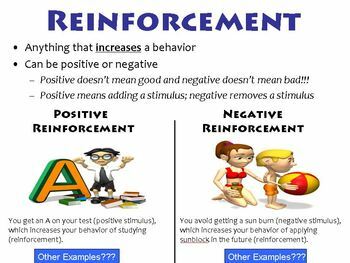 If you're interested in an accompanying worksheet that helps students apply labels to operant conditioning scenarios, please click here. Please note that the fonts "Candara" and "Lithos Pro Regular" are used in these documents. If your computer does not have these fonts installed, it will automatically replace them with a default font, which will cause it to look different than the screenshots indicated and require you to re-format the slides.